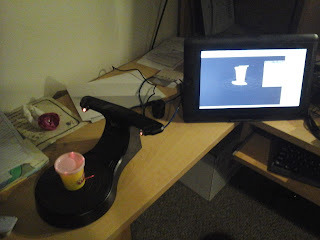 It was a long time ago I back the Rubicon 3D Scanner on kickstarter. Delays are to be expected with kickstarters. But finally it delivered. Setup was easy, the software wasn't too bad, calibration was well documented. Drivers were a bit hard to find the download link for, but not too bad after that. After that it was time to grab anything near by me and start testing it out. It takes 30 minutes to a scan with one laser, and 45 minutes with two. The play-doh jar revealed several interesting things. First off all, the change of colors caused the scan to add textures that weren't there. 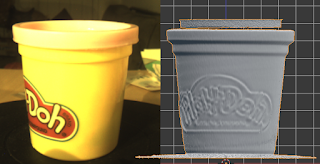 Secondly, the software had no idea what to do with the ridge. It saw it as a floating ring above the lid. 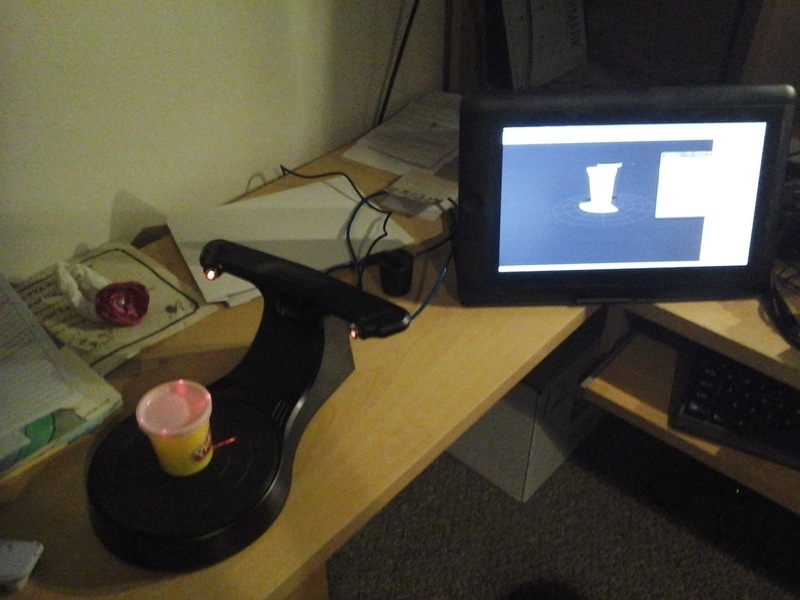 Finally, the scanning platform, despite being flat, was not flat in the scan. It seems the software's de-fisheye function isn't quite calibrated. Next I scanned a block from a alphabet refrigerator toy. It seems like every house with kids has one but none of them have a complete set. 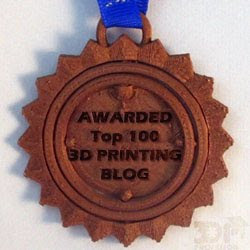 So I plan to use this scan to build 3D printed replacements for the whole set. But aside from the same rounding of flat surfaces culminating in a top that overlaps itself, the scale of the scan isn't the same as the scale of the original. It's about 120% of the original, and not constant in all axis. This doesn't bode well for the purpose intended. Lastly I took a statue from the house that pushed about the size limits of the scanning platform. I tried using both lasers to scan this one, but in the end I couldn't get the scans to align. The result was the head caved scan you see here. I attempted to stitch the individual scans in MeshLab which improved things slightly, but there was still a hole in the head. 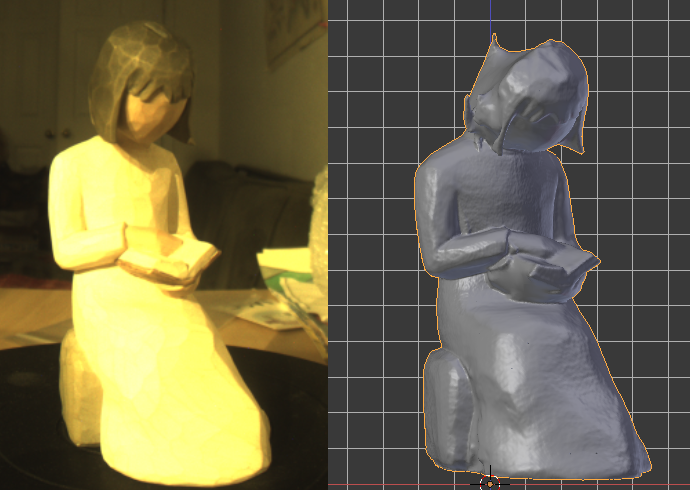 I would need to do another scan laying down to get the top of the head. It's a fun toy. 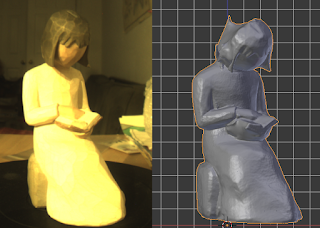 Less useful than I would have liked, but I suppose that's the consequence of low cost scanning, I guess. And the community support for this is less than I would like. But now that I have the scanner stay tuned, I'll have some uses for it, I'm sure. You can download these models on YouMagine if you'd like to play with them.